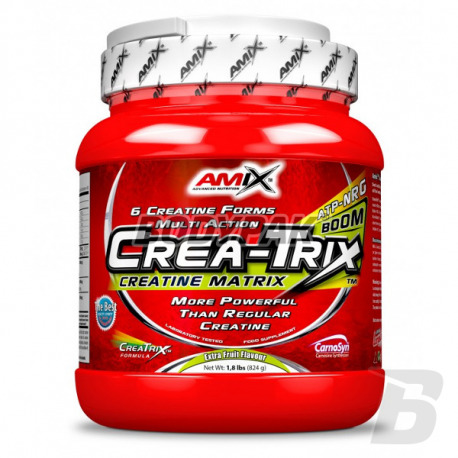 Crea-Trix ™ creatine complex can provide faster results during training. 218 loyalty points Your cart will total 218 points that can be converted into a voucher of 8,72 PLN. Don´t settle for ordinary Creatine when you can have all the benefits of Creatine Complex! 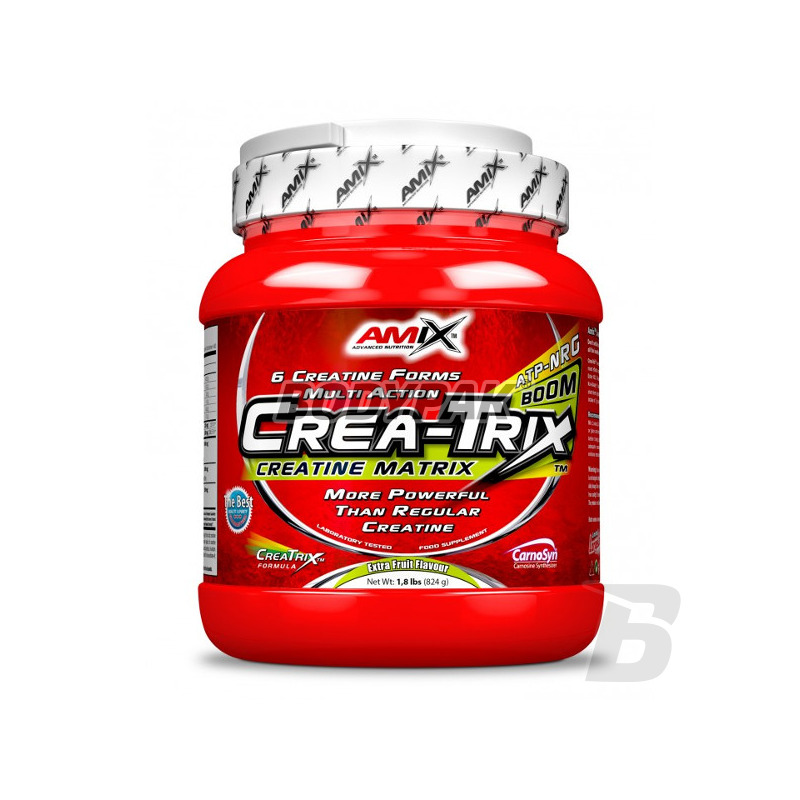 Crea-Trix™ is an exklusive and unique creatine complex which combines 6 the most effective creatine forms such as Creatine Monohydrate, Creatine Ethyl Ester HCL, Tri-Creatine Malate, Tri-Creatine Citrate, Di-Creatine Malate and Kre-Alkalyn®. Creatine increases physical performance in successive bursts of short-term, high intensity exercise. The beneficial effect is obtained with a daily intake of 3 g of creatine. Ingredients: maltodextrin (glucose polymer), creatine monohydrate, acidity regulator citric acid, creatine ethyl ester HCl, dicalcium phosphate, acidity regulator calcium carbonate, tricreatine malate, creatine citrate, creatine malate, creatine Kre-Alkalyn, betaine alanine (CarnoSyn Fipotassium phosphate, disodium phosphate, aroma, dye: multi-colored flavor - beet root extract, sweetener (Splenda sucralose, acesulfame K), anti-caking agent: silicon dioxide. Super miks, świetna sprawa. Kupie kolejną puchę na następny cykl. Dobry produkt dobra cena polecam smak owocowy! Bardzo mocny stack kreatynowy! Działa rewelacyjnie - czuć różnice, przede wszystkim we wzroście siły mięśniowej. Warto po niego sięgnąć. Cena troche nie zachęca, ale warto! Kilka form kreatyny i solidny dodatek bet alaniny - nie może być lepiej :). Inne dodatki oczywiście też ok.
Searching for a product based on the crystal clear creatine hydrochloride should be interested in just this product. Powerful dose of anabolism at your fingertips! Mixture 4 forms of creatine with different absorption kinetics and the matrix pomperów and transporters. With this combination, the results of your strength and growth will be significantly accelerated. The enormous pump effect of training! The highest quality creatine malate, which has repeatedly intensifies anabolic, ergogenic ii catabolic effects of creatine.